You can find us just outside the beautiful and historic town of Santarém, in the heart of the Ribatejo region, which is renowned for the breeding and promotion of the Lusitano horse. Santarém is located only 40minutes drive by car or train from Lisbon. 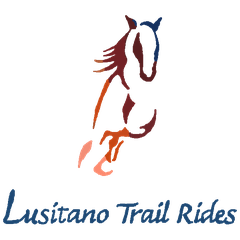 For the Trail ride packages the pick up service at and to the airport is included in the price! From the airport take the metro or a taxi to the main train station Oriente. Here you walk to the first floor and buy a train ticket to Santarém. There are trains every hour. Do NOT get out of the train in Vale the Santarém but one station later in SANTAREM. At the train station in Santarém we can pick you up and in 5 minutes drive we are at our Quinta dos Pinheiros. Rua Primeiro Janeiro, 2005 Portela das Padeiras, Santarém. You will arrive at a traffic light with a bicycle shop, here you see already our sign 'Quinta dos Pinheiros'. Please turn here and follow our signs for 500m and you will arrive at our place. When you go out of the airport follow the signs A1 Norte. Take the motorway A1 until the exit Santarém. After the payment point you take the third exit 'ZONA INDUSTRIAL'. In the roundabout take the third exit, you will drive over the motorway. The next roundabout you take the second exit like if you continue straight. You reach our village Portela das Padeiras. In the next roundabout you take the second exit direction Torres Novas. On the first traffic light please turn left into the narrow road. Just follow the signs and in 2 more minutes you are at our place! Blue gate and white walls at the entrance. We are looking forward to welcome you! !